Kefir cake is a healthy and insanely delicious recipe. Every Russian is familiar with kefir since early childhood. Refreshing and healthy, its sour and slightly bitter taste distinguishes it from different kinds of dairy products. Some foreigners, however, might find this strong taste difficult to swallow. 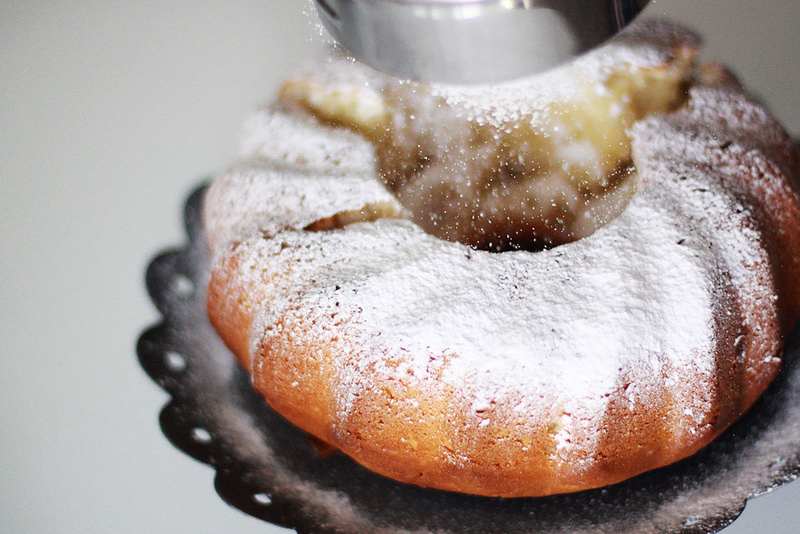 So, if you’ve never tasted kefir before, this kefir cake recipe is the best place to start. Russians are obsessed over dairy, and kefir is one of the most popular dairy drinks. It is also common today in CIS countries and was widespread in the USSR. Kefir originated in the North Caucasus region where there are many legends about its origins. The recipe was kept secret by families throughout the centuries, and only in the early 20th century it became widely produced in central Russia and then all over the country. Though much like a liquid fat-free yoghurt, kefir is actually made with fungus that provides the ferment that gives the unique taste. Today, kefir is sold in every grocery store, and some people even make it at home using only two ingredients: milk, and the special ferment that you can find in any Russian pharmacy. Kefir is very healthy and known for its beneficial microflora. It is perfect for drinking alone, or adding to sauces, marinades and even pastry. Here is a kefir cake recipe that my grandmother came up with about 40 years ago: it’s still the tastiest cake I have ever tried, and it’s so easy to make. The result pleasantly surprises you with its incredibly soft and rich taste. 1. First, properly whisk your eggs with sugar, salt and vanilla extract until the mixture becomes white and airy. Add soft butter, and beat well. Then pour the kefir, and knead your pastry with a mixer. Remember - all ingredients should be at room temperature. 2. Next, sift plain flour with baking soda directly into a bowl with pastry, and mix until it’s smooth and silky. The pastry should be quite runny but not totally liquid. Put the pastry into a baking form, and bake for about 40-50 minutes (180 °C). When the cake is ready, let it cool a bit and serve with some icing sugar.